How Has Cryptocurrency Changed The World Of Online Poker? Rate this Article The hottest investment opportunity back then was real estate, but now it's this digital currency with a very fickle value called "cryptocurrency". 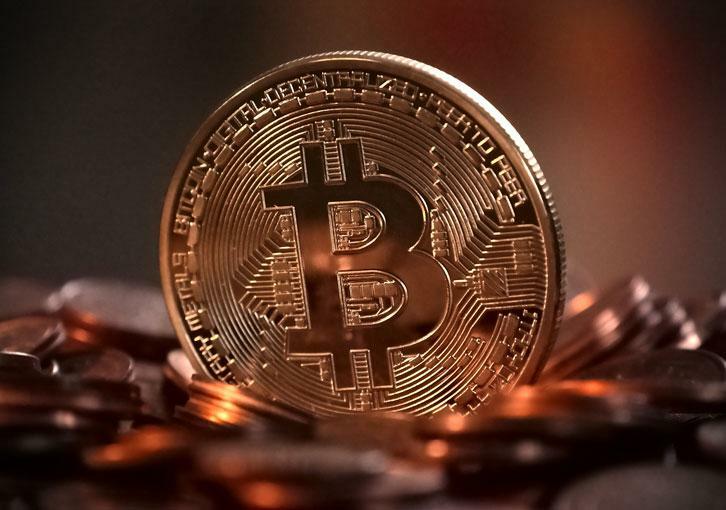 In recent years, consumers have increasingly exploited cryptocurrency technology when engaging in financial transactions. The use of cryptocurrencies like Bitcoin, Ripple, Litecoin, and Ethereum have gained popularity, primarily due to increasing media chatter about the potential benefits. In short, cryptocurrency is an electronic — or “virtual” — currency that exists on a decentralized global computer network (which is yet another example of how machines continue to take over the world). Cryptocurrencies allow users to exchange money via electronic transfers, which can significantly reduce the risk of fraud and identity theft because the transactions are recorded and recognized globally. Due to the global and decentralized nature of the “blockchain” computer networks that execute the transfers, proponents argue that cryptocurrencies offer additional protections by making it impossible for governments or entities to freeze or seize your deposits — at least for the time being. Furthermore, compared to traditional banks, many cryptocurrency exchanges require low (or no) transaction fees. These touted benefits have spurred the emergence of approximately 1,000 different virtual currencies. Bitcoin is the industry leader and has recently gained rampant media coverage for having increased in value by over 1,000% in the last two years. For the sake of simplicity, the remainder of this discussion will use Bitcoin as the prototypical example of the cryptocurrency phenomenon. As people have familiarized themselves with this relatively new financial medium, they’ve increasingly adopted its technology to finance a variety of transactions, whether they be business deals or amusing diversions. As a result, it comes as no surprise that cryptocurrencies would eventually revolutionize how people play their favorite games online. More and more, online poker websites are allowing their players to bet with Bitcoins and other virtual currencies rather than traditional fiat cash. So, in addition to the alluring benefits of cryptocurrency described above, how has its increased popularity changed the landscape of online poker? Poker players who compete using cryptocurrency often laud the use of Bitcoin for its gameplay efficiency because it facilitates faster deposits of wagers and withdrawals of winnings. Most websites that accept Bitcoins can post deposits to your account in less than an hour; furthermore, some sites will credit you with chips right away if you present a receipt of your funds transfer. On the other hand, withdrawals can take anywhere from a few hours to 24 hours (and sometimes even longer), depending on how many transactions the website must reconcile. As a rule of thumb, you should always read the user reviews of different Bitcoin sites (which you can find on online poker forums) so that you can have well-informed expectations regarding the time frame for receipt of your winnings. Another difference in choosing Bitcoin over cash when playing poker online is that you don’t pay for the Bitcoins directly; instead, your cryptocurrency gets directly converted into chips. The majority of Bitcoin poker sites employ this method because it allows players to compete with smaller stakes, which is particularly attractive to poker rookies. Also, Bitcoin poker sites currently have the reputation of fostering more “social” competition and being havens for less-experienced players; this is because the more skilled, professional poker players — many of whom use advanced software programs to better their chances — for the most part, have not yet migrated to poker sites that accept Bitcoin. This provides an environment for beginners to put in more practice hours. However, we are by no means implying that cryptocurrency sites fail to offer more “sophisticated” poker play. Many cryptocurrency sites offer Texas Hold ‘Em, Stud, Omaha and other popular poker variants with larger buy-ins and potential winnings. Traditional online poker sites usually have better graphics and more user-friendly gameplay because they are typically owned and operated by larger, more technologically-advanced companies. In contrast, Bitcoin poker sites or more often controlled by Bitcoin aficionados who are managing their websites on a modest budget. That said, if your goal is to take advantage of the security and other benefits that Bitcoin poker play has to offer, then you might be more than happy to overlook any minor deficiencies that afflict Bitcoin poker platforms. Cryptocurrency has also given Americans (who could be subject to criminal jeopardy because of U.S. gaming laws) the opportunity to play online poker completely anonymously; this allows them to avoid disclosing their location, enduring prolonged security checks or handing over sensitive documentation to play. Just be mindful that although using cryptocurrency might significantly reduce the chances of detection, it does not suddenly make playing online poker legal for U.S. residents who live in restrictive jurisdictions. In other words, even poker players who use Bitcoin to play online still do so at their own risk. In any case, you should never play online poker unless you’re of legal age to play and — in an abundance of caution — you should always review the website’s terms and conditions before playing. Lastly, you should never allow one or even a handful of online poker sites to hold all your money. Make small deposits to cover variances in your winnings as well as whatever amount you might want to bet. You can also reduce your risk by withdrawing all or a portion of your balances into regular cash from time-to-time. Furthermore, you should follow the fluctuation of cryptocurrency values against those of traditional currencies.